When does the 500 minutes plan become more expensive than the 1000 minutes plan? Should I purchase the phone for $499 or $199 given the change to the plan values? 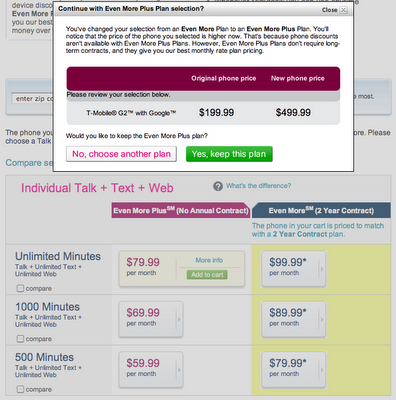 Is there another carrier who is cheaper? The question I am going to deal with is, "Should I purchase the phone for $499 or $199 given the change in the in the plan values?" For this experiment, I am going to use the Unlimited Minutes to test. $499 + 79.99 * 24 is less than $199 + 99.99 * 24. Therefore, I should purchase the phone outright on a math basis. Given you could invest the difference at 2%, the differing NPV's are about $170 difference. You're cost of capital for the contract is about 9% between the two plans. The cost of capital is a differential IRR equation. 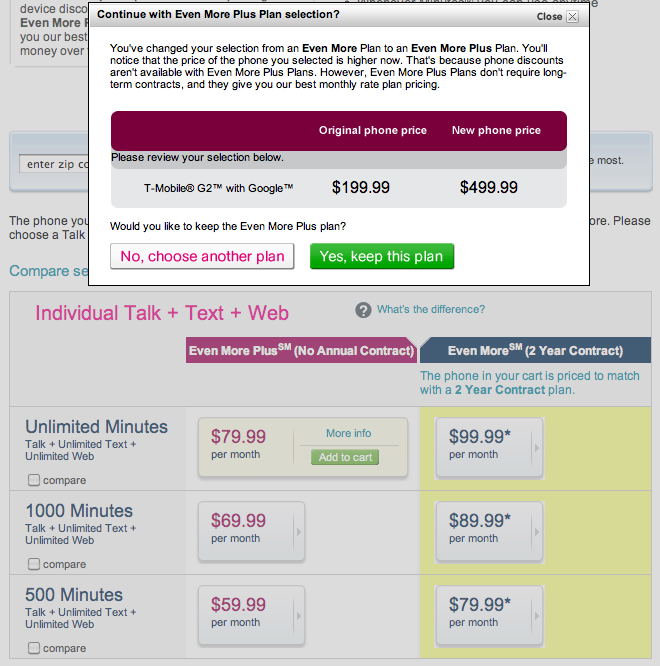 $-300 now, but $20 more per month over the next 24 months, which equates to 9%. This figuring doesn't include the taxes and fees, which would presumably be higher on the $99.99 / month plan than the $79.99 / month plan. Giving even more lee-way to purchasing the phone in the beginning. Harvard Business Review recently sent out their "The Daily Stat" with the headline "Why Top Students Don't Want to Teach." Of, course . . . I was hooked. What amazes me is the difference between the questions "I would be proud to tell people I had this job" and "People in this job are considered successful": 60% versus 38%. To me, they are the same questions. "I would be proud to tell people I had this job" has a "correct" answer. The correct answer is "yes." "People in this job are considered successful" externalizes the question, and you get more honesty.